By now, most of you, who nominated O’Cegan’s Legacy with Kindle Scout, know it was not selected for publication by them. My intention was always to release this book in March and that is still the plan. The Kindle Scout program is fairly new and this was the first time I placed a book in it. I learned a few things about it and how it works, so down the road, I may give it another try. I think it’s a great opportunity and a win-win even if you aren’t published. It’s given me more exposure and I’ve gained a few more readers. I am making a few tweaks to the story and double-checking for typos and spelling errors, not that I do that, but sometimes my fingers hit the key in the wrong order. At any rate, this process is taking a little longer than I had initial thought it would, but I am getting close to the release. I am targeting this coming weekend to release it. For those who nominated my book, I will be having a free Kindle download day once it is ready. Given that Amazon can sometimes take a few days to activate the book once it’s uploaded, I won’t designate the specific date until it goes live and the free book is live, then I will notify the Kindle Scout site that it is live and they will send out an email to everyone who nominated. I will also post an update here, on Twitter, and on my Facebook page. I really want you to have the chance to get it for free. The book will also be available on Kindle Unlimited for an indefinite time, three-month minimum, where you can read it for free and I get credit. You’re A Book Reviewer and Critic! Reviews are very important to an author. A good review is a pat on the back saying that someone enjoyed your book. A fair review with specific feedback means the author has some things to improve on. A bad review? Well, based on how many I get, it can tell me I’m a sucky writer, but if there are only a few, then I have to figure the book doesn’t appeal to everyone. Nonetheless, the reviews, and at least the star ratings, are important to me and they tell other readers that maybe this is a book they’d like to read. Please read and review! I’m already into the first rewrite of the next book in the Funeral Singer series, A Song for Menafee. Gillian Foster is coping with the events that occurred in A Song for Marielle while still keeping up with singing and the bill-paying job. But one of her funeral singing jobs leads to a ghost with an old secret. In order to help him cross over, she needs to learn the truth. I’m going to be taking a trip to Tennessee in April to do a little research for this book and get photos. I’m excited and looking forward to “walkin’ in Memphis” and in other parts of the Volunteer State and to chowing down on some good BBQ. Last 2 Day to Nominate My Book! 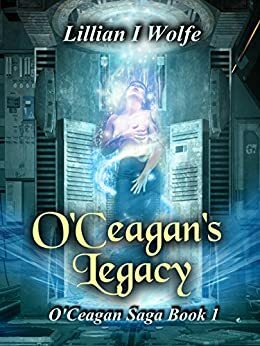 First off, a big thank you to everyone who has already gone out to the Kindle Scout website and nominated “O’Ceagan’s Legacy” to be considered for a publishing contract. I really appreciate it. Unlike some of these “vote for me” things, you can only nominate once so if you’ve already done it, hurrah! It means a lot to me. If you haven’t yet nominated my book and would like to give me an assist toward publishing it, then please go to O’Ceagan’s Legacy and nominate my book. You can read the first three chapters if you like. If it is selected for publication, then you will receive a free Kindle download of the book. But you need to do it before midnight on March 11. This ends at 12:01 am on March 12! So do it now while you’re thinking about. Even if it is not selected by Amazon, I will still be publishing it on Kindle and I will have a free download day, which I’ll tell you about when it’s time, so that everyone who did vote for me (and some others) will have a chance to download it.